With the end of the school year arriving, this double sided peace, love, summer break shirt is the way to ring in the summer! 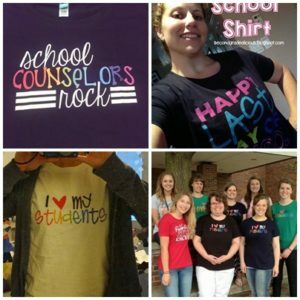 This teacher shirt is comfortable to wear on the last day of school and the bright colors are just plain fun. Consider your wardrobe choice for the day done and enjoy your last day of school! This digital print design says, “Happy Last Day of School” on the front. The back of the shirt shows a “Peace, Love, Summer Break” matching colorful set of icons. For teachers, principals, para-professionals and school staff – everyone can wear it!